Sometimes it can be the groom that plans the details of the wedding. 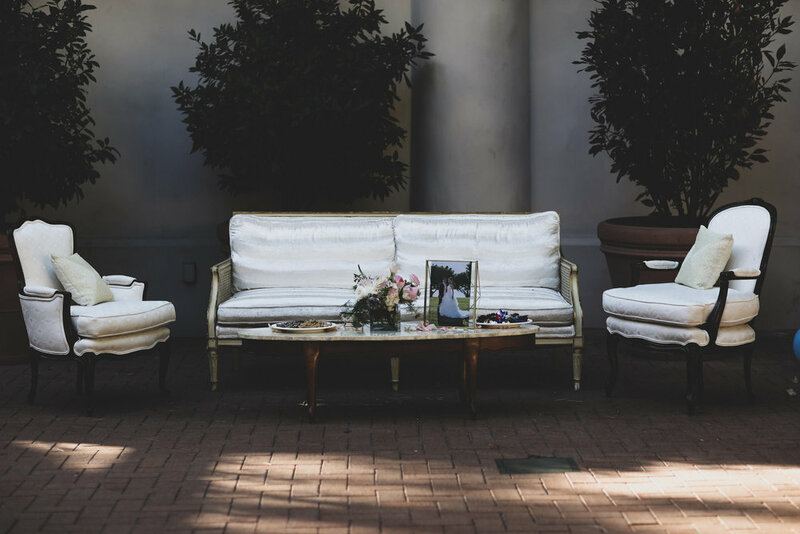 When Richard contacted Shawna of Bleudog Fotography, our favorite San Clemente photographer, he wanted to make sure his bride had the wedding of her dreams. That’s when Shawna figured Richard was a hopeless romantic and set out to make sure the brides dreams became a reality. Gold Chiavari chairs enhancing the beautiful set up at the Pelican Hill Resort. Richard and Lisa met in China and both knew, almost instantly, they were destined to be married to each other. 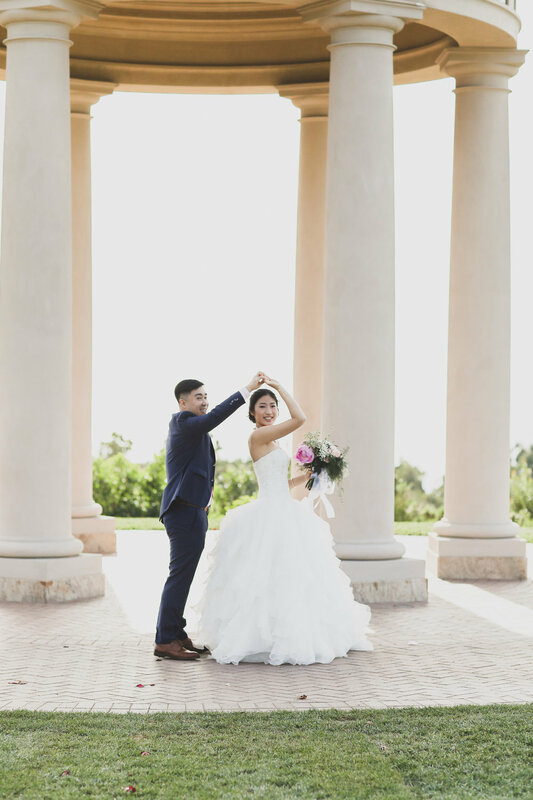 The Resort at Pelican Hill, one of Orange County’s most sought after wedding venues, was the perfect location for their intimate wedding to be celebrated. 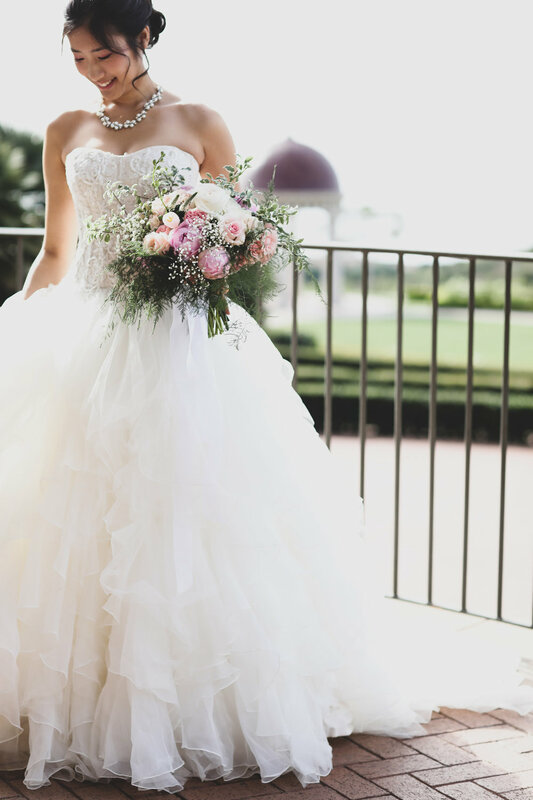 Both the wedding and the reception were held in the Mar Vista Terrace, which is adjacent to the main ballroom at Pelican Hill. 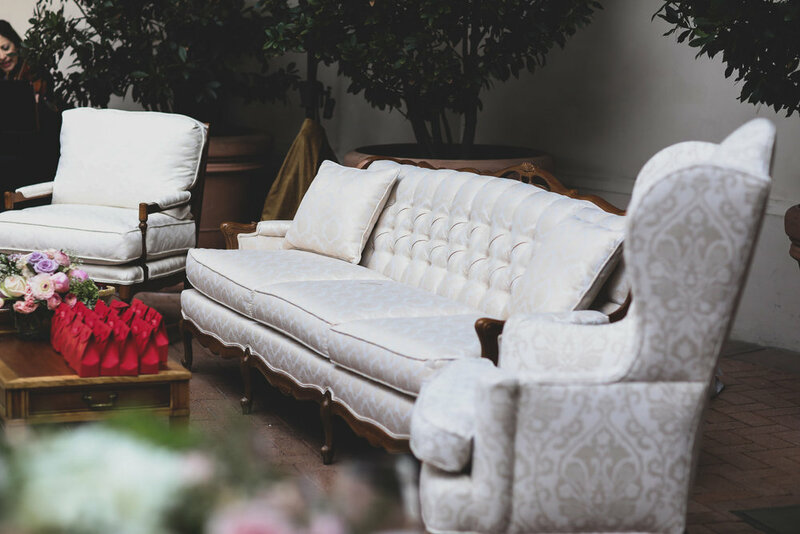 Along with a warm fire, we helped to make it cozy by providing the furnishings for two sitting areas on the terrace. We also enhanced the dining table, and provided wedding seating, with our gold Chiavari chairs. The Brides choice of wedding colors. A pink, lavender, and white wedding. 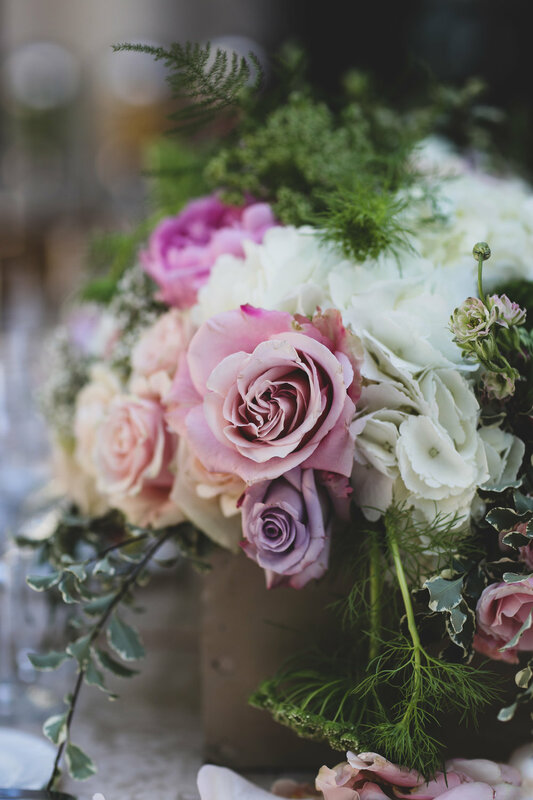 Lisa expressed her love of pink, lavender, and roses, so Bleudog Floral created the most romantic florals with lush pink, lavender, and white flowers everywhere. 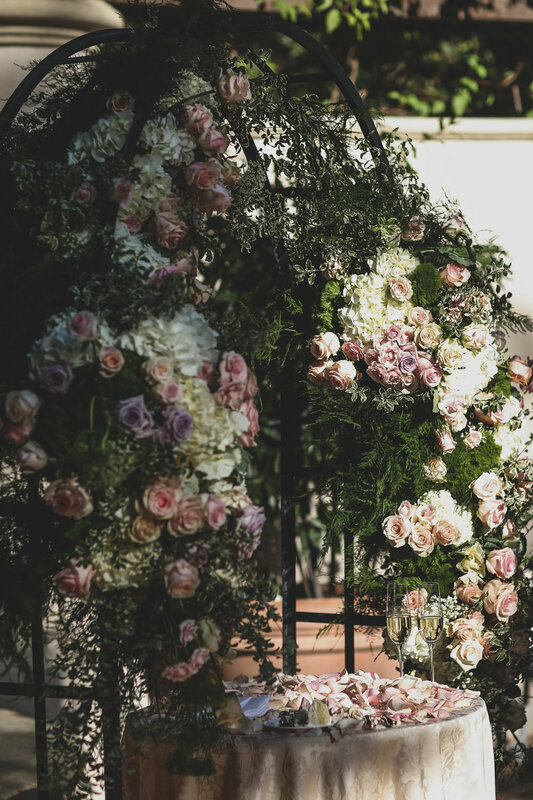 She used our wrought iron arch to create an arrangement of flowers that stole the show. If that wasn’t romantic enough, after the wedding vows were exchanged they had a white dove release. Brides wearing two wedding dresses. A fun new trend is having the bride change out of her wedding dress and change into a different dress for the reception. Lisa wore a beautiful designer wedding dress for the first part of the ceremony, and then changed into a traditional red dress for the rest of the party. 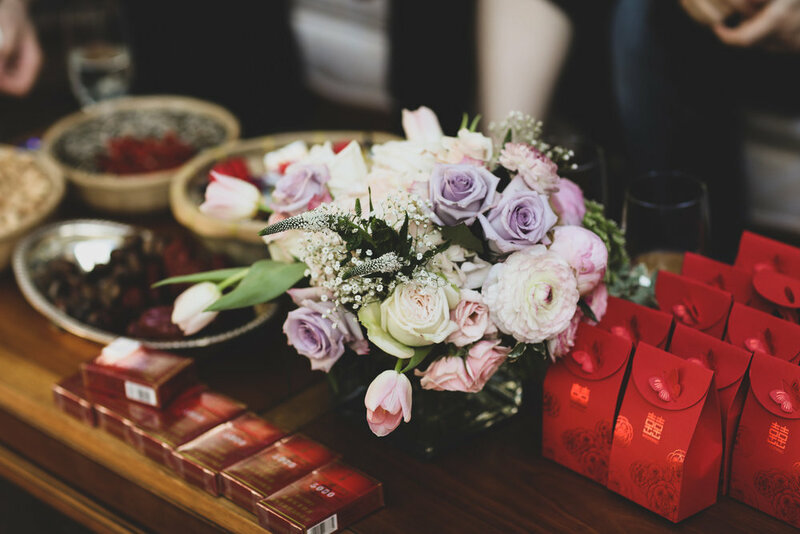 In the Chinese culture red symbolizes good luck, happiness, and prosperity. A perfect wedding day at Pelican Hill. It was the perfect day. We were so happy we were chosen to be a part of the beginning of Richard and Lisa’s life together. We wish them good luck, happiness, and prosperity. LISA + RICHARD from THE BYRD SISTERS FILMS on Vimeo.